It’s been quite a long while since I last wrote here. I’ve been enquired with many things (things I posted about on OYT, especially this new label, DRAMA), but I’ve not lost faith in looking for forgotten records. Not long before Christmas I stumble across this odd looking black & white cover in a cheap bin. No need to be a seasoned digger to buy this record on sight. It was ticking all the boxes : cryptic and slightly esoteric drawing showing three mage-looking figures, another one, lying at their feet, – half-human, half-animal, body loaded with breasts – posing in a naive scenery; an even more cryptic label, dozens of instruments, self-released; add to this an appealing year of production (1987) paired with equally appealing geographic origins (Brazil). Here it is : delicate folk songs from Brazil, played in a contemporary style and recorded with grace. 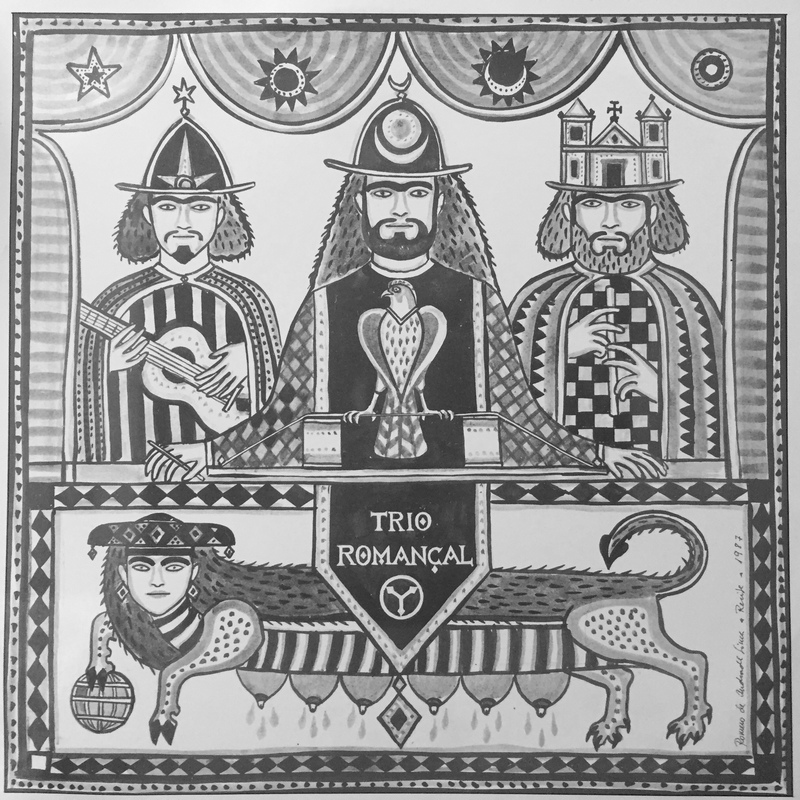 This not a proper ethnomusicological record : rather than compiling recordings of musicians in some parts of Brazil, the trio (without doubt classically trained musicians) arranged a number of songs from various style before playing them. For this reason, the result sounds more like three jazz musicians having a take at traditional music, in a very personal way – that reminds of Uakti‘s amazing albums – rather than a curated compilation of folk songs. Enough said about this record, here’s to 2019 !